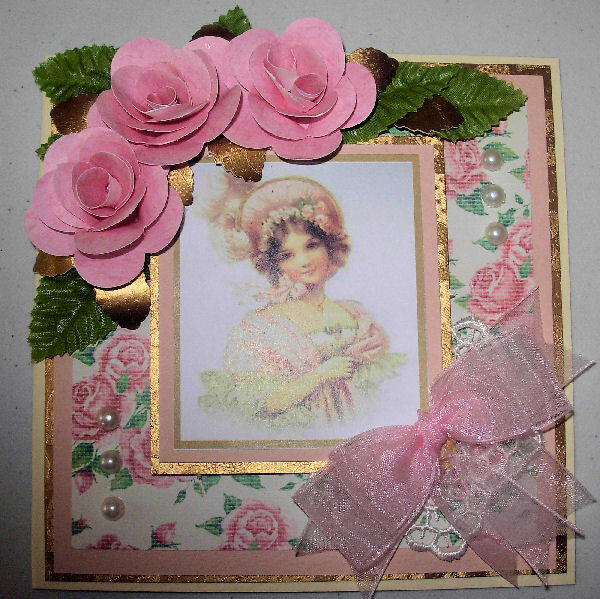 Direct link for rose kit. You will need a good quality hi-tac clear drying glue for this project. Collall Book binding Glue is the best one I have found. Cut a slit between 2 petals in the first flower. 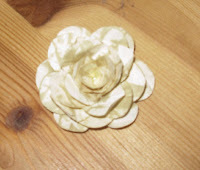 Cut a petal out of the 2nd flower. 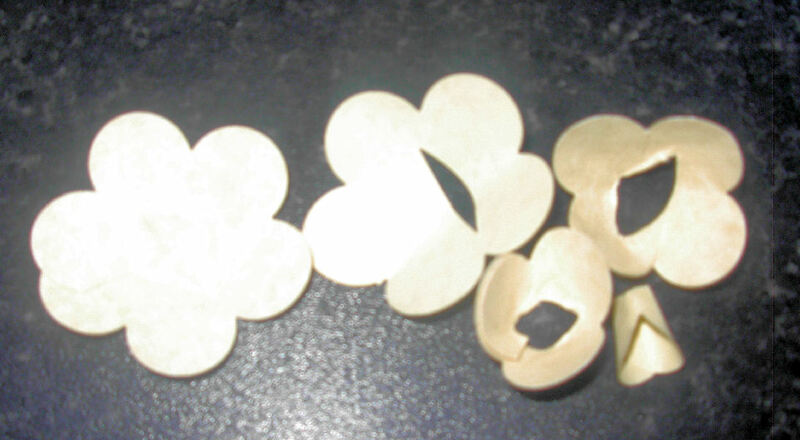 Cut the 4th flower in half, and cut a petal off one half. 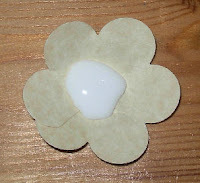 The last few single petals can be curled to make the centre of the flower, and to be used to hide gaps. 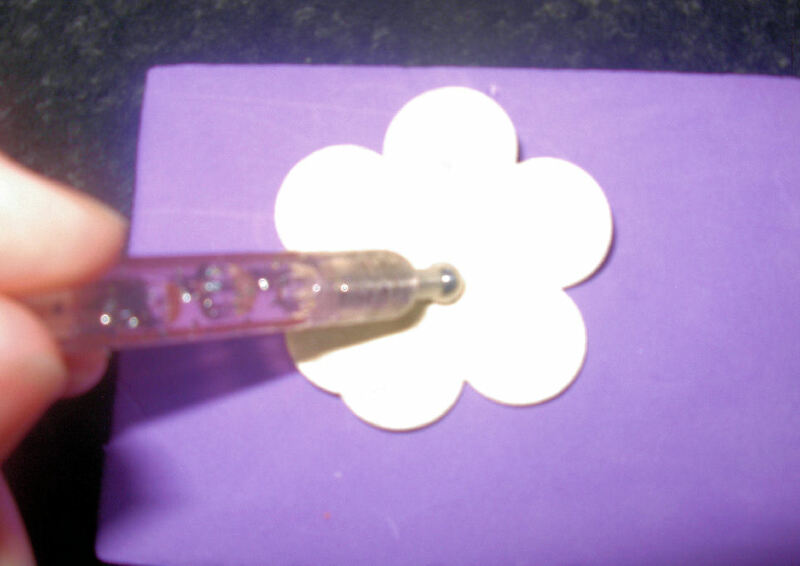 You need to flatten the middle of the 1st flower, the best way is with your ball tool on a soft mat. 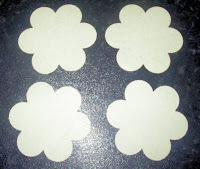 Then cut about 1/3 off the bottom of all the other flowers. Squeeze a good amount of Hi Tac PVA Glue into the centre of the first flower. 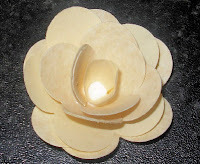 Place the remaining flowers into the centre of the first flower, alternating the petals, until you have your rose. The glue will dry clear. if you feel the rose looks unbalanced, snip the ends off the remain 3 single petals, and slip then into the flower to make it look more even shaped. Or a glue pen and add fine glitter to add sparkle. This flowers was made with120gsm hammer paper, I used a gold ink pad to add colour to the tips of each petal, and then crushed all the petals before I arranged the rose together, this gives the flower a more vintage feel. to view larger images for this project, click on image and it will open larger. This really is a beautiful card!